This wind farm in tambon Huay Bong, Dan Khun Thot district, of Nakhon Ratchasima province began operating in February 2013. The 207-megawatt project, owned by Wind Energy Holding, cost 13 billion baht and sells its electricity to the national grid. The Supreme Administrative Court has upheld the Administrative Court’s revocation of a decision by the land reform committee of Chaiyaphum province to rent land in Thep Sathit district to a private company to build a wind farm. The land is located in a Grade 1B area and originally intended for distribution to farmers under the agricultural land reform scheme, or Sor Por Kor land. On Sept 23, 2009, the land reform office of Chaiyaphum province passed a resolution to rent this Sor Por Kor land in tambon Ban Rai of Thep Sathit district to Thep Sathit Wind Farm Company to build a wind farm to produce electricity. Based on the provincial land reform committee’s decision, in 2012 the Agricultural Land Reform Office (Alro) signed a contract allowing Thep Sathit Wind Farm Company to rent the 39-rai for 27 years for a wind farm. The rental was 32,000 baht per rai/year. 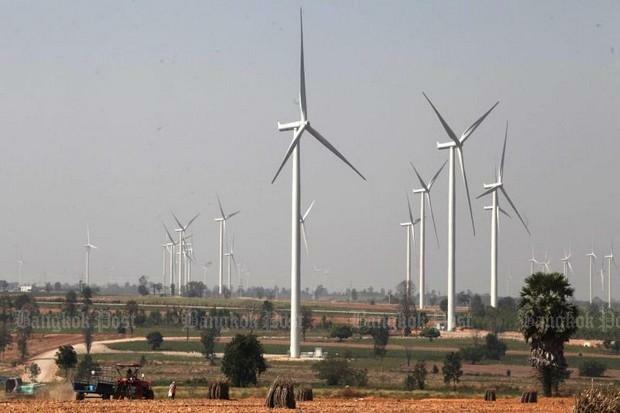 The wind farm would have a generating capacity of 90MW and cost about 6 billion baht to build. This prompted 10 residents in tambon Ban Rai and the Association of Lawyers for Environmental Protection to file a lawsuit with the Nakhon Ratchasima Administrative Court against the original resolution. The lawsuit named the Agricultural Land Reform Office (Alro) secretary-general, the Chaiyaphum land reform committee, and Thep Sathit Wind Farm the 1st, 2nd and 3rd defendants respectively. The Nakhon Ratchasima Administrative Court ruled that the Chaiyaphum land reform committee’s decision to rent the land to the company was illegal and ordered the revocation of the resolution. The defendants took the case to the Supreme Administrative Court. 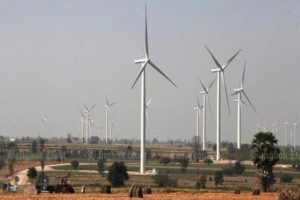 The court on Wednesday ruled that the third defendant’s wind farm for the production of electricity is not farming as set down under the Sor Por Kor land scheme. Therefore the land’s rental is in breach of the announcement of the Agriculture and Cooperatives Ministry on agricultural land reform. The court upheld the lower court’s decision revoking the resolution to rent the land to Thep Sathit Wind Farm.